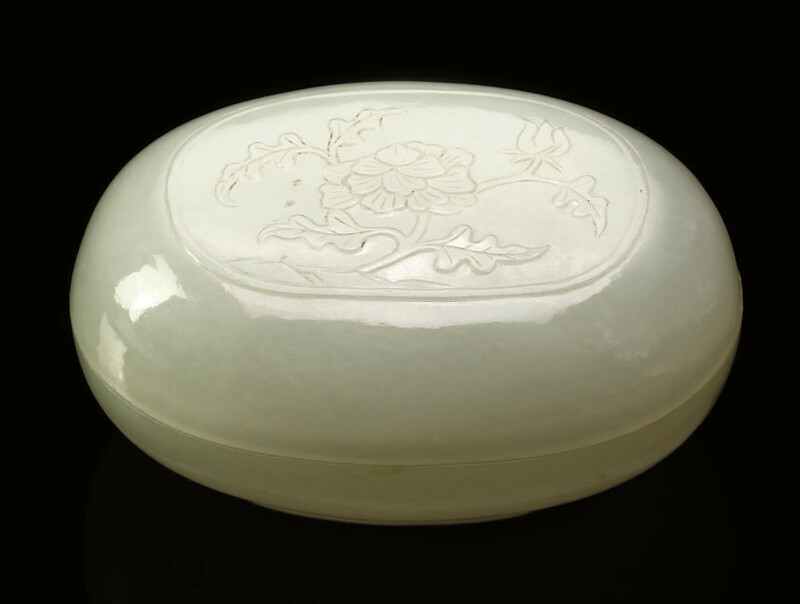 with rounded sides and supported on a short recessed foot rim, delicately carved to the cover with a cartouche enclosing a flower spray -- 2¾in. (7cm.) long.